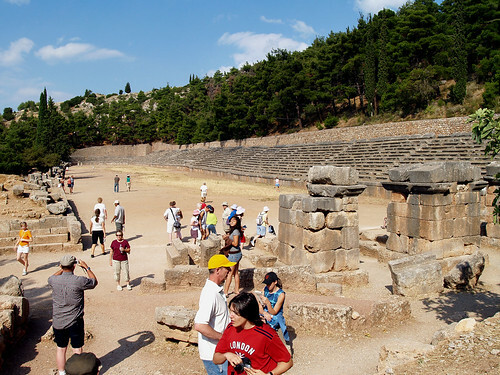 The Pythian Games (Delphic Games) were one of the four Panhellenic Games of Ancient Greece, a forerunner of the modern Olympic Games, held every four years at the sanctuary of Apollo at Delphi. The winners received a wreath of bay laurels from the city of Tempe in Thessaly. Smaller Pythian were celebrated in many other cities of Asia Minor and Greece.